Champagne and smiles all around: it was a fitting start to a prosperous Lunar New Year for Chopard Malaysia. Guests at Chopard’s intimate Spring Festival gathering at Pavilion Kuala Lumpur savoured dainty desserts and canapes before feasting their eyes on the brand's timepieces and jewellery collections on display around the boutique. 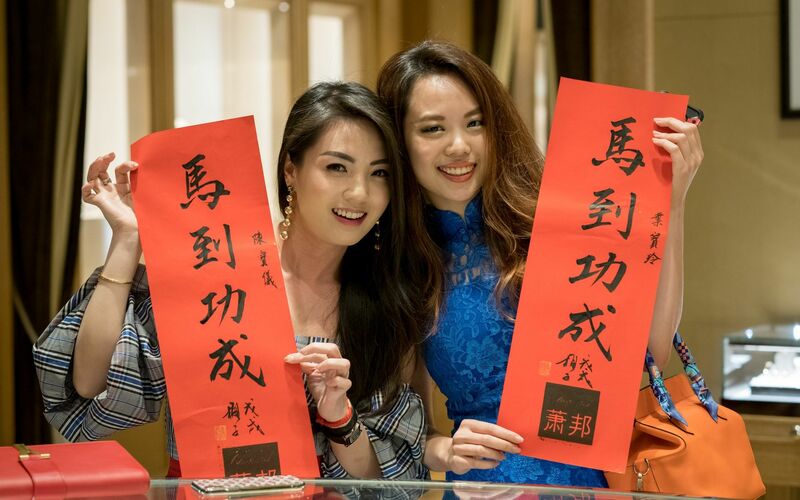 Visitors and friends of the brand ushered in the new year with a Prosperity Yu-Sheng Toss, later receiving special scroll souvenirs imprinted with their names by a Calligraphy Master. Following a lion dance performance, Chopard Malaysia General Manager Karen Teh thanked the crowd for their presence and support.